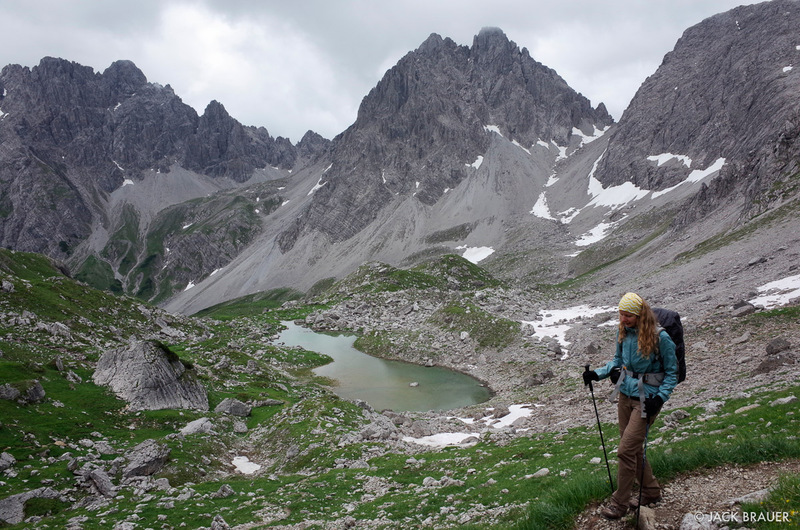 Our latest adventure in the Alps was an 8-day trek through the Lechtal Alps in Austria, the neighboring range just south of the Allgäuer Alps of our previous trek. In fact on many days of our trek we could look across the valley and see the peaks and ridges which we had just hiked and climbed over the previous week. 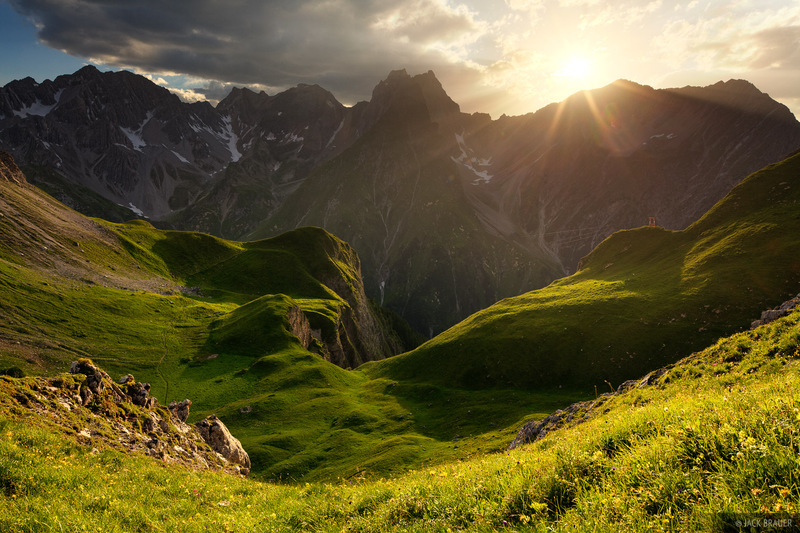 The Lechtal Alps are characterized by mountain ridges soaring steeply out of deeply cut valleys, topped with green basins ringed by countless jagged peaks. 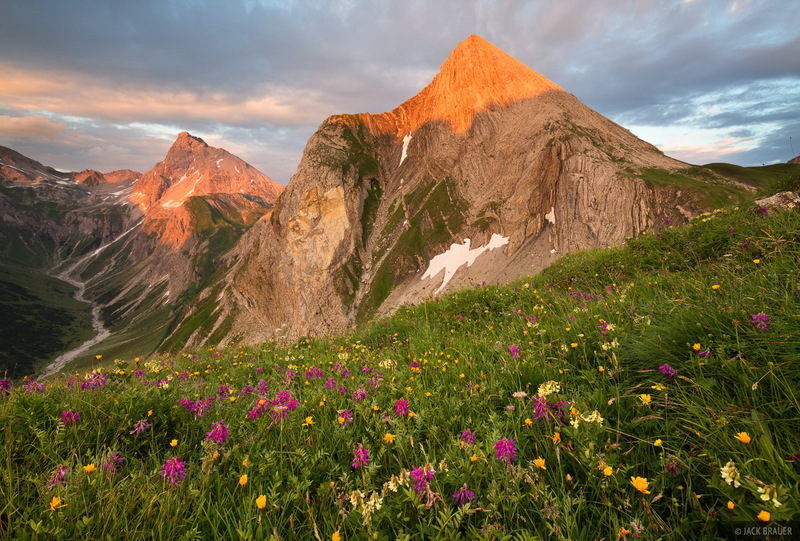 While the Allgäuer Alps seemed to offer mostly broad sweeping vistas, the Lechtal Alps have more immediate views of towering pyramidal peaks right in your face. The close and rugged peaks, combined with the clear air after some rains cleaned the haze away, made for some stunning photography! 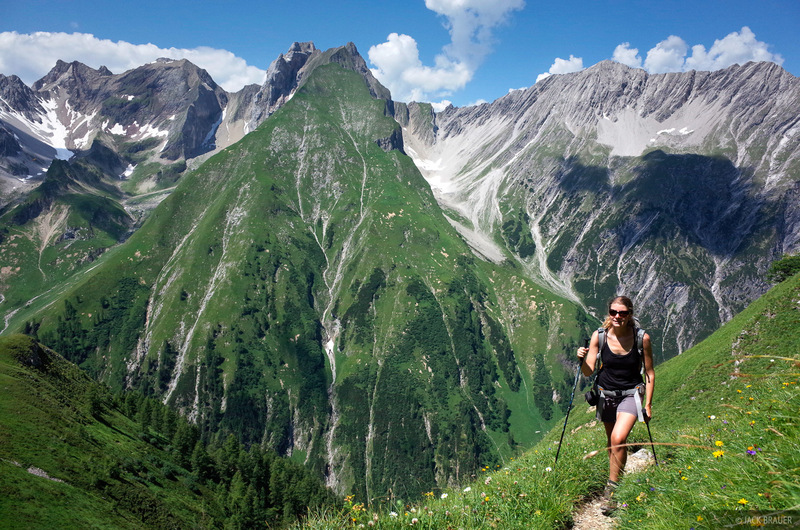 Hiking from the Valluga-Bahn above St. Anton, Austria. Weisschrofenspitze (2752 m) dominates the scene above the Leutkircher Hütte. With our tram kick-start we made good progress along the high ridge, passed the Leutkircher Hütte and continued to the Kaiserjochhaus for our first night. This small family-run hut had a little herd of goats, and the menu included lots of items with goat milk, goat cheese, and goat meat. 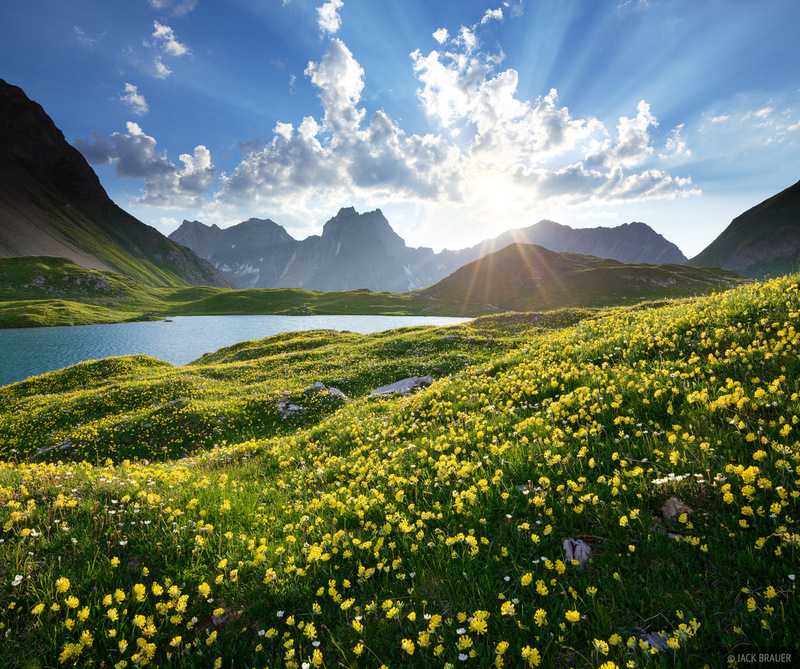 The poiny peak of Weisschrofenspitze (2752m) as seen from the rolling grassy meadows near the Leutkircher Hütte. Sunset light on Grießkopf (2581m) as seen from near the Kaiserjochhaus hut. 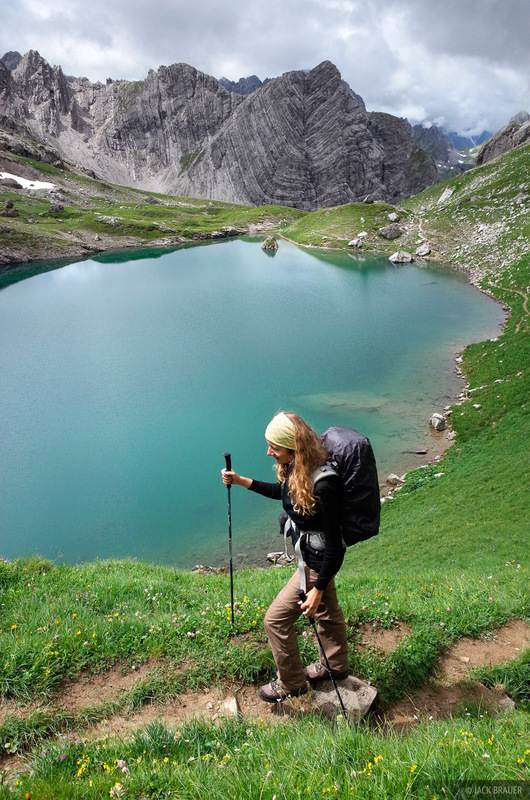 Hiking past the turquoise waters of Hintersee. 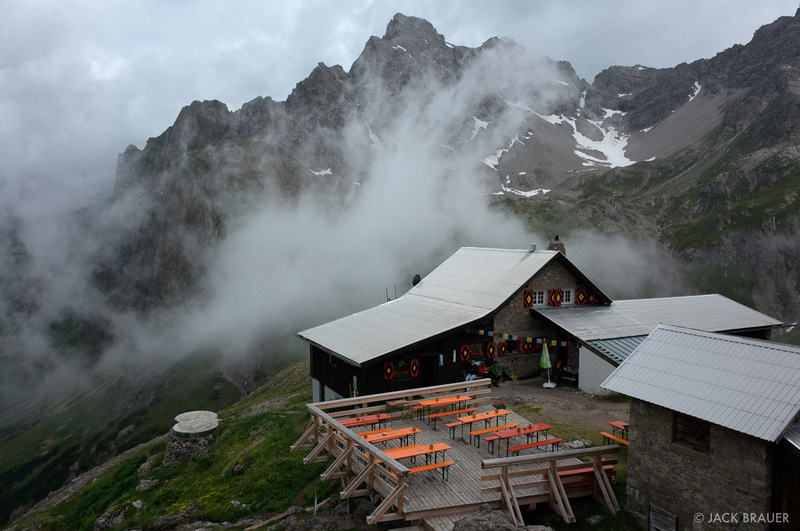 Our next destination was the Ansbacher Hütte, positioned on a high ridge above the Stanzer Tal valley with a commanding view of St. Anton far below. 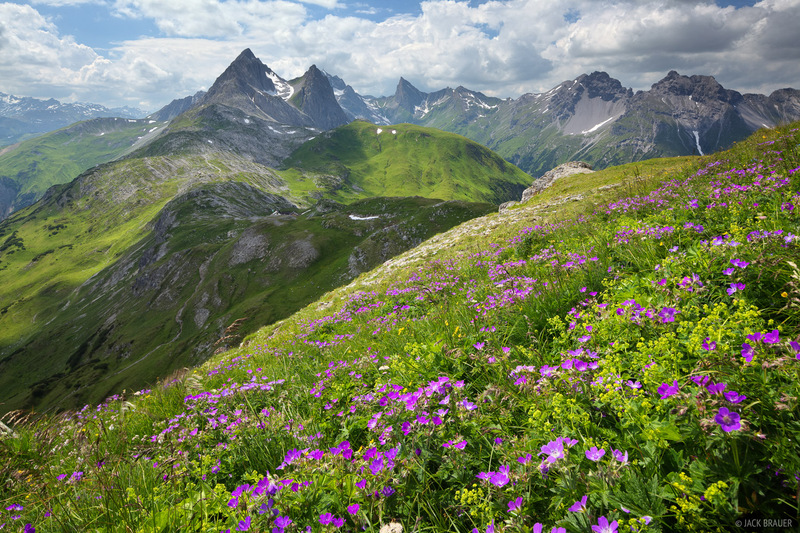 Wildflowers at the Ansbacher Hütte - July. Chilling out with a view of St. Anton and the Stanzer Tal valley. 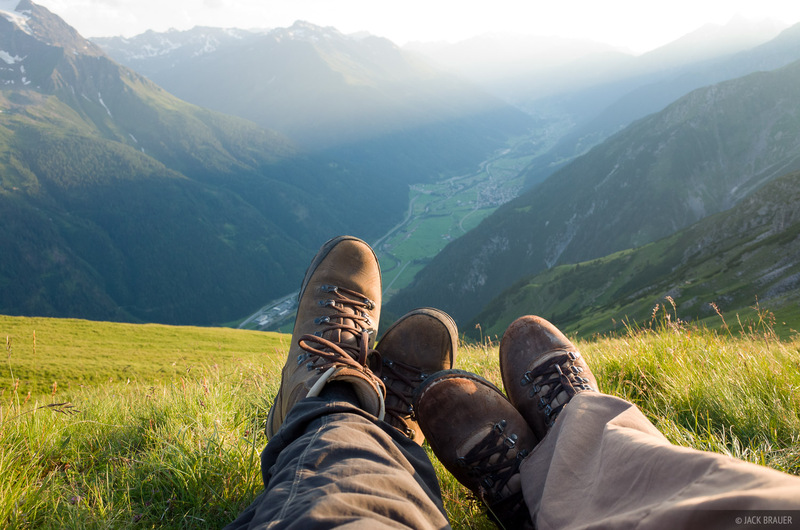 During these hut treks it’s easy to fall into a routine – but what a nice routine it is! We wake up around 6 or 7am (me maybe earlier if I want to shoot sunrise), then pack up and hike for usually about 4-6 hours, give or take. Upon arrival at the next hut we check in and dump our stuff on the bed. By then a tall hefeweisen is calling my name; for Claudia it’s a cafe latte. After our drinks on the terrace and a quick wash up, we usually wander around and relax some more for the next few hours soaking in the views and sitting in the grass. At 6pm we go back to the hut for dinner (usually a hearty and delicious meal). After dinner, back outside for a few more hours of chilling out and me taking photos. In bed by 10pm, tired enough to sleep through any snoring in the hut. Next day – repeat! 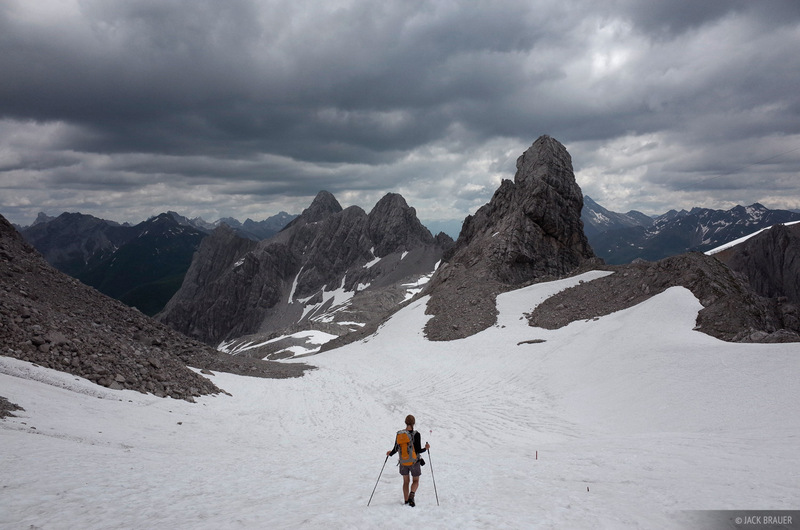 Hiking up to the Memminger Hütte, with the rugged Freispitze (2884 m) towering across the valley. Relaxing at the Memminger Hütte. The Memminger Hütte is situated in a gem of a basin, on par with the Rappensee Hütte which we loved so much on our trek in Allgäuer Alps. 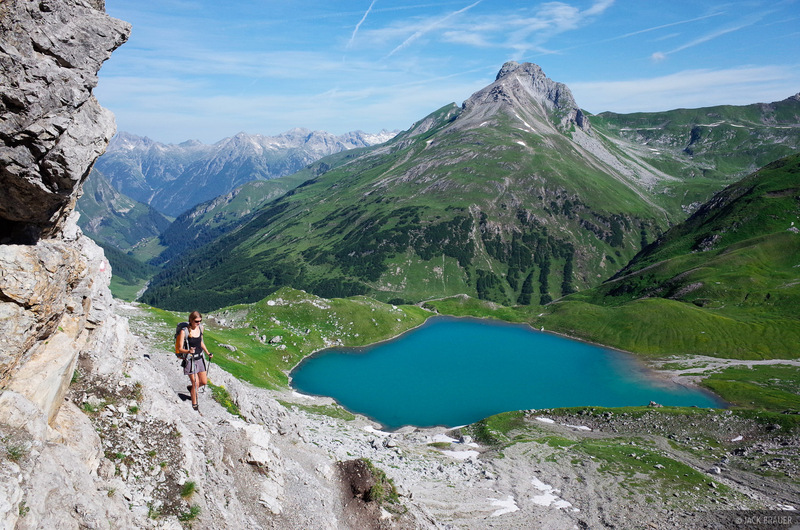 Complete with a turquoise lake, commanding views, and even some beautiful free-ranging horses, this was the perfect place to spend an extra day to take a break and refresh our legs. 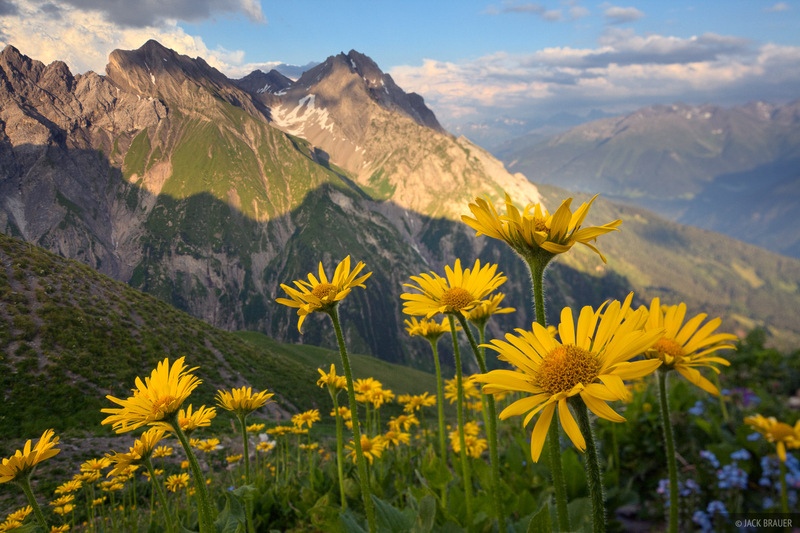 Wildflowers at the Memminger Hütte - July. Sunset at the Memminger Hütte. 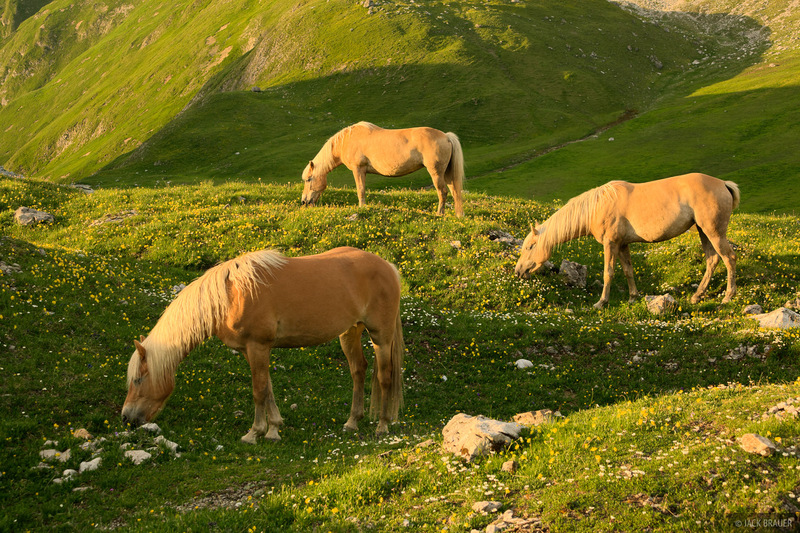 Free range horses at the Memminger Hütte. 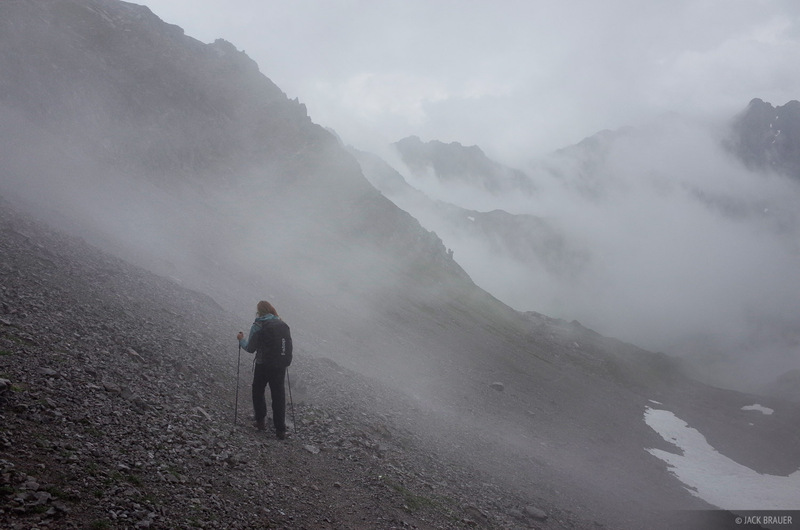 Hiking in the rain in the Lechtal Alps. The weather turned south on our way to the Württemberger Haus the next day, but the enchanting misty boiling clouds along the way more than made up for it! One interesting thing I noticed about the huts around here is that they all have add-on wings. You can see the original smaller stone “cores” of the huts, which were often built well over a century ago. To accommodate the increasing number of trekkers over the decades, extra wings and dormitories have been added on. The older stone parts of the huts often have lower ceilings, crooked lines, and older worn wood inside, while the newer sections have fresh wood construction and a more modern, clean feel. 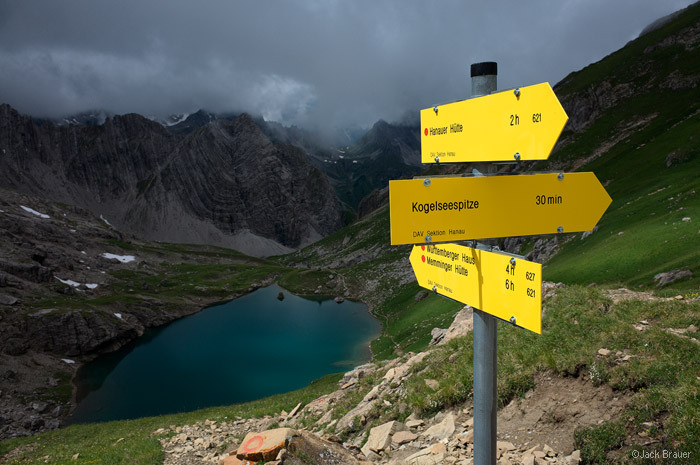 Hiking signs in the Lechtal Alps. Hiking towards the Hanauer Hütte, with the Dremelspitze towering above. 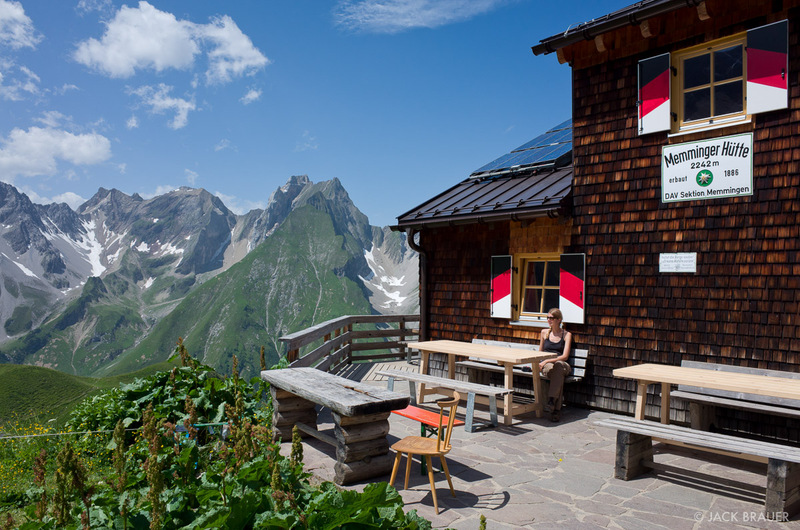 A wonderful hike through several basins and past five lakes brought us to the Hanauer Hütte, which seems to be a new “flagship” type of hut with all the modern amenities including hot water! 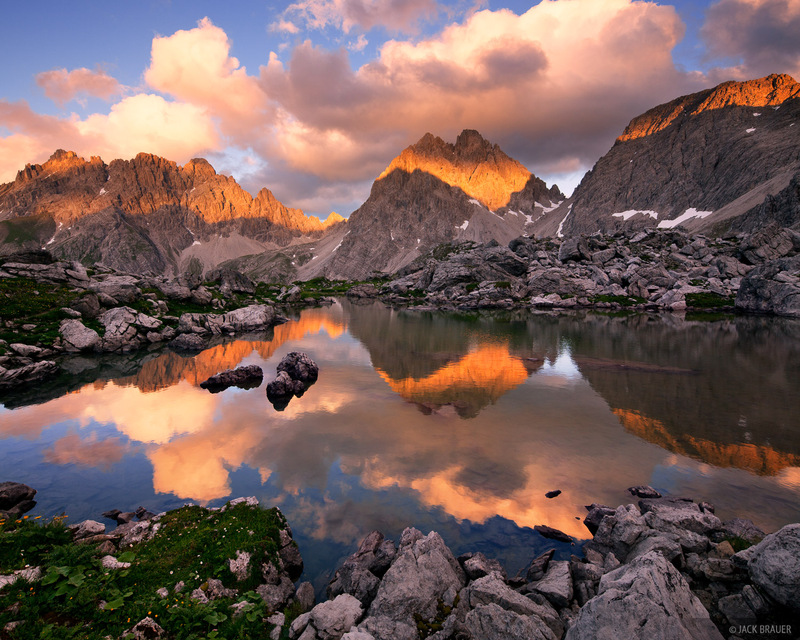 That evening we hiked up to a high lake and I scored a fantastic sunset reflection photo, which satisfied me immensely! Brilliant sunset light illuminates Dremelspitze (2733m), as seen from above the Hanauer Hütte. 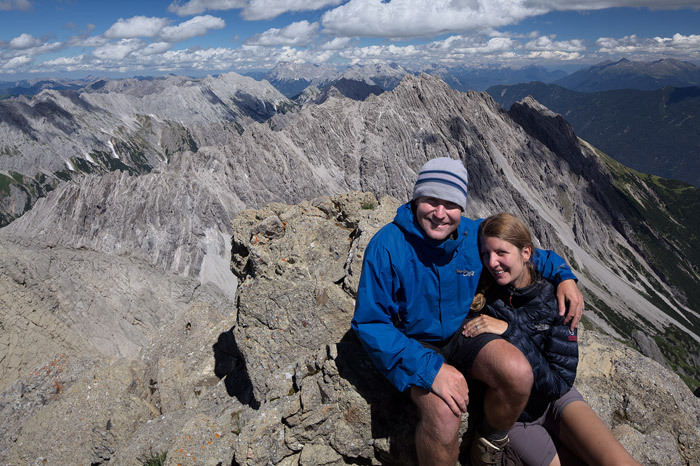 Jack and Claudia on the summit of Muttekopf (2774 m) with a view of the Heiterwand and Zugspitze far behind. 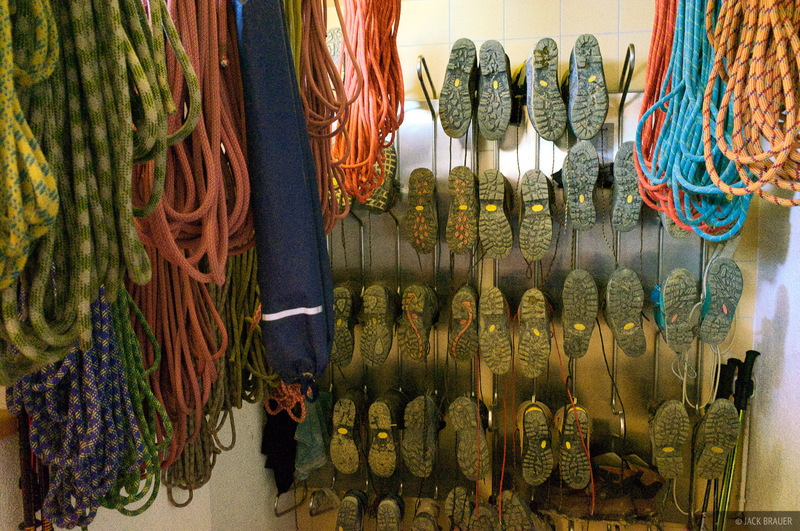 A typical hut boot room in the Lechtal Alps. After one last night at the Muttekopfhütte we cheated again and took a chairlift all the way down to the town of Imst, saving another 1000+ meters of knee-jarring downhill hiking. 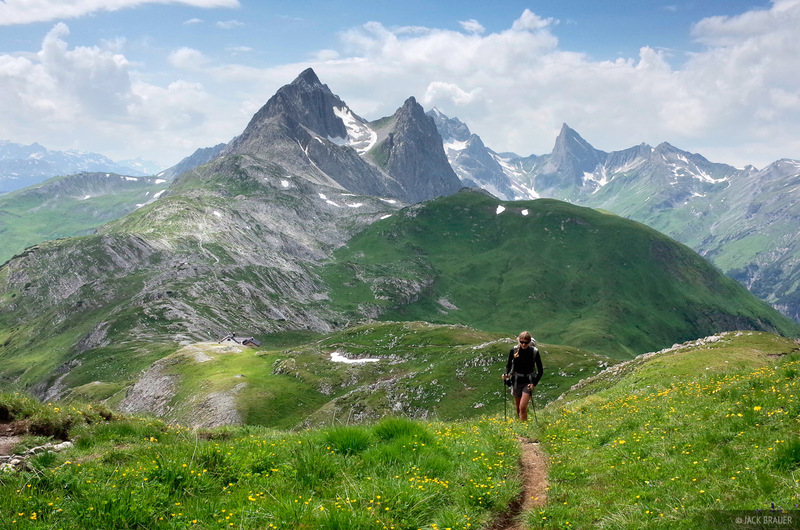 All in all, yet another epic and deeply impressive trek in the Alps!